Apple has reached a mega milestone, according to app discoverability firm Appsfire. Appsfire co-counder Ouriel Ohayon told The Next Web that by his company's numbers, Apple has reached the 1 million app milestone, which includes 493,298 paid app submissions. It isn't an accomplishment Apple is likely to publicize any time soon though, as those numbers are only for app approvals. The actual number of live apps sits at 736,247, according to Ohayon, with 336,270 paid apps available. The discrepancy is due to a large number of apps approved by Apple and later removed by app creators, typically for copyright reasons. That means an estimated 264,753 apps - more than a quarter of all apps submitted to the app store -have been pulled from the store since its creation in 2008, including 157,028 paid apps. The numbers don't speak very highly for Apple's approval process, which has become somewhat notorious for passing apps which blatantly infringe copyrights. 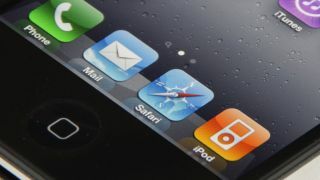 While Apple is often quick to react and remove infringing apps from the App Store - as indicated by more than 264,000 approved apps that are no longer available - Apple has yet to address the approval process that lets the offending apps pass in the first place. Earlier this year at its iPad mini and iPad 4 launch event, Apple announced the App Store had reached 700,000 apps. The company has always been forthcoming with the number of live apps available or the number of app downloaded through the App Store, but it's far quieter when it comes to the App Store approval process. Last month, Google announced that it's catching up to Apple, reaching 700,000 apps available through the Google Play store. The next milestone will be to reach 1 million apps available, with both Google and Apple racing for that summit. However, it's also helpful to remember that those numbers can be deceiving, with thousands of approved illegitimate apps that must be moderated and removed from the services.